If you're coming from outside the areas below just click HERE. Type in your starting address and it will give you directions. Take exit 143, Green Sulphur Springs/Meadow Bridge. At the bottom of the exit ramp turn LEFT and go under the bridge. At the stop sign turn RIGHT onto Rt 20. Follow Rt 20 for approximately another 5 miles. 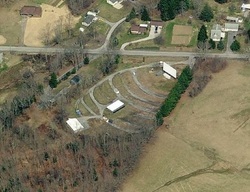 The theater is on the LEFT. You have to be careful when you get close because it is at the crest of the hill. At the bottom of the exit ramp turn RIGHT. At the top of the ramp turn left onto Rt 60. Go approximately 1 mile to the Drive-in on the RIGHT.